An article written (below) by Melissa Dutton for the Associated Press was syndicated this morning to the Washington Post and ABC News. 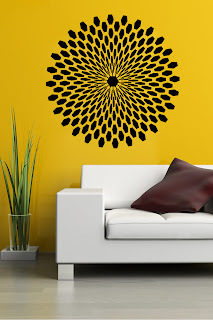 It is packed with information about Wall Decals that included helpful interviews with DIY customers and designers alike. 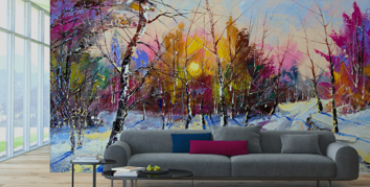 Included in those interviews was interior designer and WALLTAT founder, Jordan Guide. During a recent home remodel, Diane Wright decided the stairway leading to her garage needed some perking up. 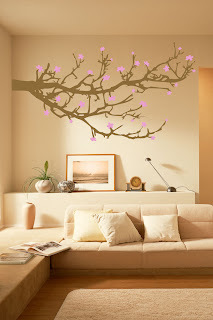 So she went online and found a wall decal — roosting love birds on a branch. “I love them. It adds some individuality,” said Wright, who also has used decals in other parts of her home on Kiawah Island, S.C.
Wall decals have taken off as an easy, affordable and temporary way to transform a room, said interior designer Darla Blake of Unique & Chic Interiors in Irvine, Calif. The flexible vinyl decals come in dozens of colors and hundreds of designs, everything from animals and music notes to funky patterns and religious symbols. There are words and sayings. And some companies make custom decals. “Having a tree in your bathroom, or a park bench and bicycle on a wall behind a sofa, or a bridge going to nowhere brings a smile to everyone who enters the room,” Blake said. The decals make it easy to personalize a room, which is popular right now, she said. “You can easily find something to reference your personality, your job or your lifestyle,” she said. Wright has used decals as an inexpensive border in a bedroom and above photos. “It’s certainly a whole lot less than hiring a painter,” she said. Price varies by size, but a decal around 25 inches by 50 inches would usually be less than $100. Barbara Irvine of Syracuse, N.Y., chose a verse from one her favorite hymns to decorate the space above her kitchen sink. The words, “Come ye thankful people, come,” prompt her to count her blessings, she said. She installed them herself by slowly rubbing them off their paper backing with a tool similar to a tongue depressor. The words are designed to easily go on and off, said Carrol Caldwell, owner of Wall Words. 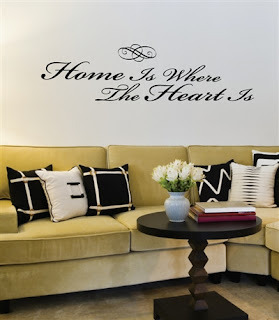 She advises using painter’s tape to attach the paper backing to the wall before firmly rubbing the decal onto the wall. And the decals peel right off when you’re done using them, she said. Easy removal makes decals especially attractive to renters, students in dorms and parents decorating nurseries, said Jordan Guide, chief executive and founder of Walltat.com. They can add impact to a small room without taking up space, added interior designer Linda Hunt of Creatively Yours Custom in Richmond, Va. She often puts them in powder rooms to make the space feel larger. She has had clients’ monograms made and installed in their master bath. She also uses decals in kitchens and foyers. Once, she used them to create text for a “memory wall” that a client had in honor of her deceased brother. “The possibilities of what you can put together are endless,” Hunt said.